Breakfast is arguably the most important meal of the day. With a good breakfast inside you, you’ll have more energy and are less likely to feel hungry mid-morning. However, most people are in a big rush in the morning which makes it hard to find the time to eat properly at breakfast time. 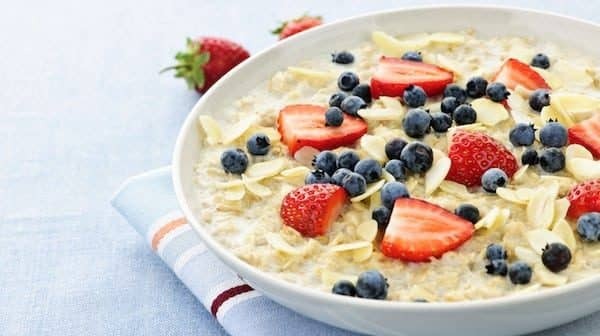 This slow cooker recipe makes having a healthy breakfast really easy because you make it up the night before, and leave it to cook while you are sleeping. You’ll wake up to a healthy, delicious breakfast that is ready to eat. This recipe is perfect for cold, winter mornings and will provide you with energy all day long! Slow cooker used: Crock-pot 4 Quart Size Manual – My review here. Plus your favorite toppings – brown sugar or honey, sliced bananas, grated apple, blueberries, pinch of cinnamon, natural yogurt, etc. Heat the slow cooker on Low. Find a heat proof ceramic bowl that will fit inside the cooker. Put the oats in the bowl along with a pinch of salt. Pour the milk over the oats and add the dried fruit. Place the bowl in the slow cooker and put on its lowest setting. Cook overnight for 7-8 hours. If you wake up in the night, give the porridge a quick stir but, otherwise, don’t worry. You can also put a plate on the pot containing your oats which can stop a crust developing. 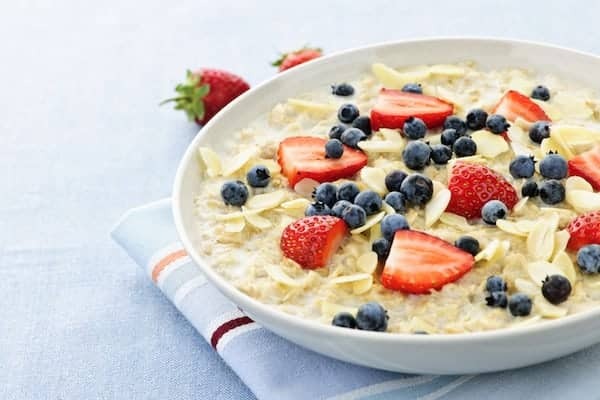 In the morning, give the porridge a good stir – if you didn’t cover it with a plate, it will have developed a crust on top. Stir it until it breaks up. Add a drop more milk to loosen if necessary, then ladle into bowls and add your favorite toppings. Note: If you don’t have a slow cooker you can use your oven, learn how to convert this recipe to the oven here. More easy, vegetarian, for kids, for two persons, with beef, or chicken . Different types, all healthy and perfect for your slow cooker. Find all the recipes organised here.